Comments: This cultivar, with pink flowers edged in white above dark green leaves, makes a striking contrast in the garden. It is used as an annual in area where freezes occur and also as a container plant that can be given protection during winter. 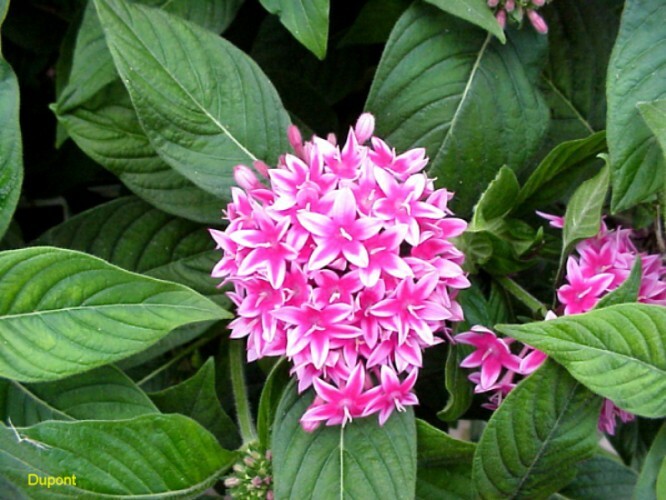 Attracts hummingbirds and butterflies, but not as strongly as the hot pink and red varieties.